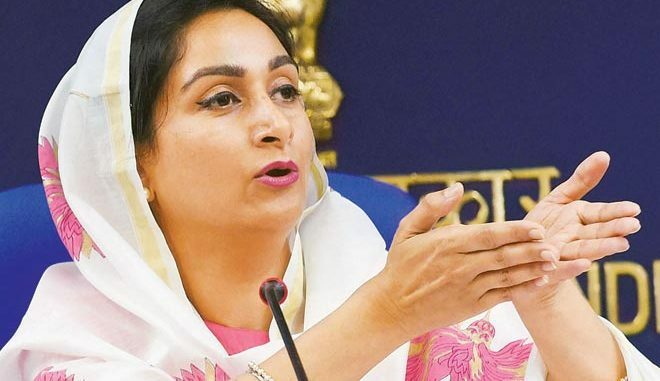 India has made it a huge priority to reduce its massive food waste, Union minister Harsimrat Kaur Badal has told American industry leaders seeking their investment and technology in this regard. India, one of the world’s largest producers of food, is also the largest producer of milk and second largest producer of fruits and vegetables. This huge raw material base, paired with a growing 1.3 billion population, presents vast investment and partnership opportunities for the US, Badal said. “However, India is currently only processing 10 per cent of its food, resulting in enormous food waste,” said Badal, minister of food processing industries, at an industry round table organised by US India Strategic Partnership Forum (USISPF). Badal is currently on a week-long visit to the US to interact with the agriculture industry and food processing companies in Chicago, Washington and New York. During her visit, she had one-on-one meetings with industry executives from US companies including Pepsico, Amazon, the Hershey Company, Coca-Cola, Wal-Mart, Kraft Heinz, and Honeywell, among others. In the last three years, India has focused on reducing food waste, she said. “With a growing country and population, the Indian government has made it a huge priority to reduce this waste,” Badal said. Badal aims to partner with US industry by borrowing best practices, technology, and innovation, in exchange for providing US companies with untapped investment opportunities that exist in India’s enormous consumer base. As the fastest growing major economy in the world, India possesses USD 600-billion retail sector, of which 70 per cent is food retail. This market is set to triple by 2020. In addition, an average Indian spends almost 40 per cent of income on food. Over the next six years, this expenditure is set to double. This makes India an attractive destination for foreign investment, Badal said. India offers immense possibilities, said Mukesh Aghi, president of USISPF. Badal’s visit comes ahead of the mega World Food India Show to be held in New Delhi from November 3-5. This global event aims to facilitate partnerships between Indian and international businesses and investors. The conclave would be inaugurated by Prime Minister Narendra Modi. Encompassing the entire food spectrum from production to consumption, World Food India aims to create a better sourcing environment which will enable higher returns for farmers, create employment, and foster entrepreneurship.